And another art exhibition. This time, the Affordable Art Fair 2015 – which is still on today, if you want to go (good choice in this rainy weather!). 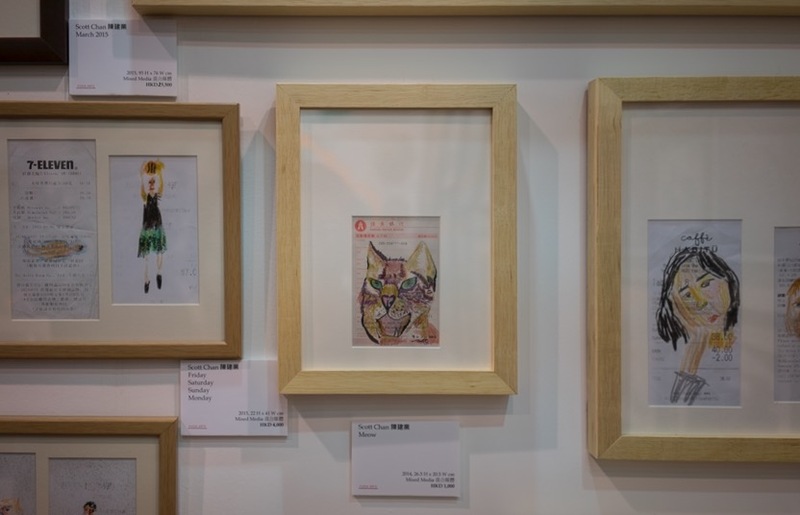 The exhibition is a mix of young and upcoming artists as well as well-established ones that sell prints. 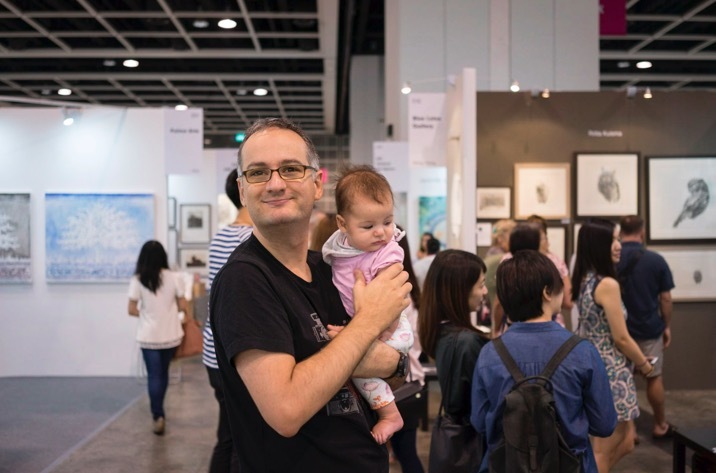 It features artists and galleries from around the globe and I selected a few highlights that I liked best. 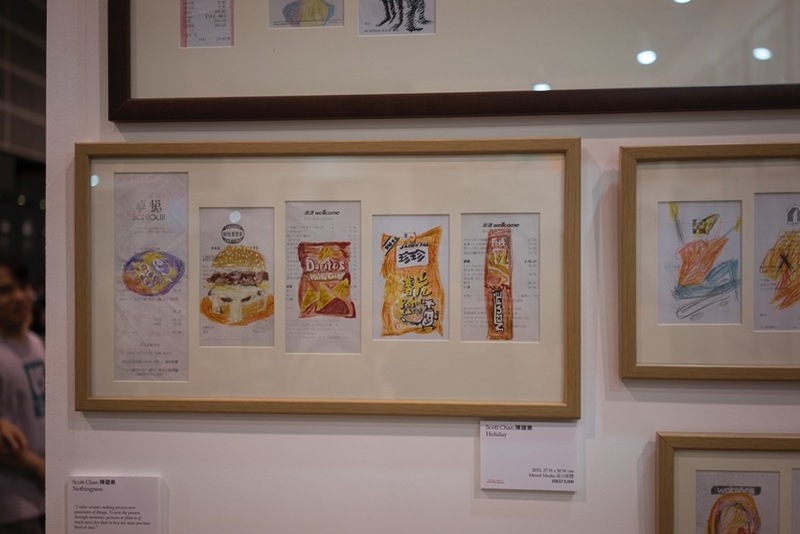 First up is some interesting artwork by Scott Chan, who used receipts as the canvas for his doodles. 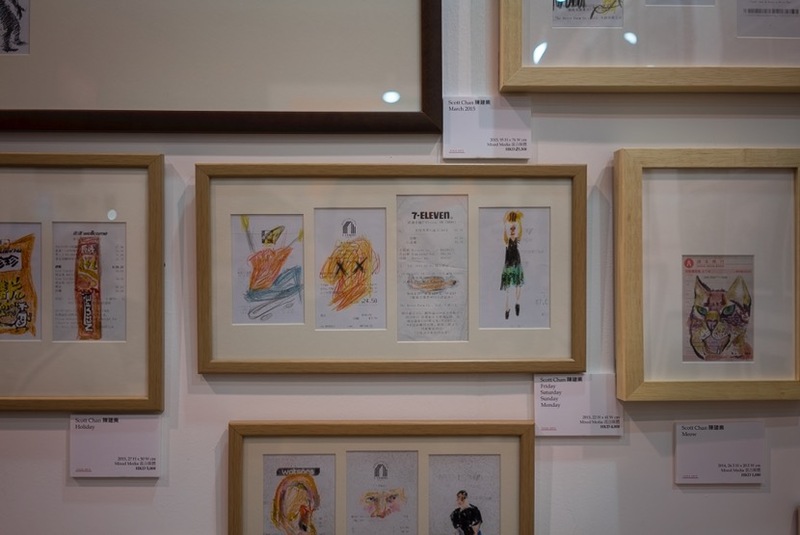 I would not call them paintings, but maybe quick sketches – and the HK section of the receipts includes typical outlets such as Watsons and 7-11, so if you ever feel like recreating artwork, this will be one of the easiest (and cheapest) ones. 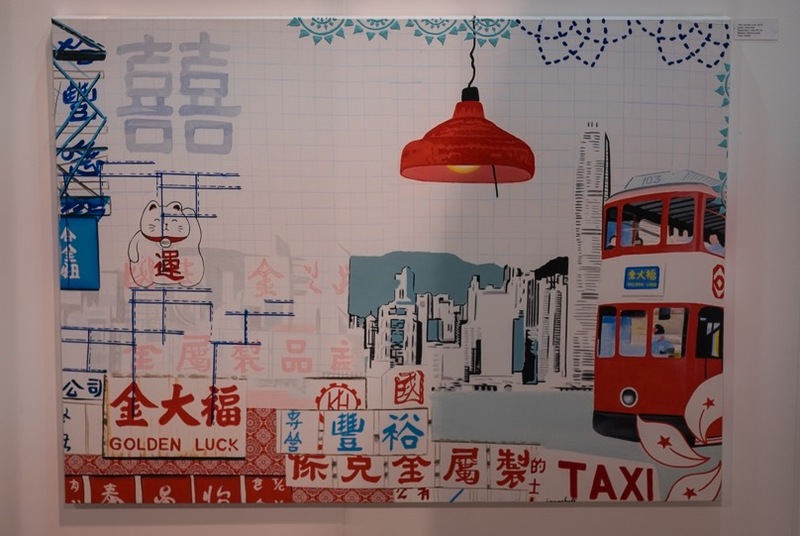 Once we move away from Hong Kong, I would then consider buying a painting that features something unique about Hong Kong – like these ones by the Dutch artist Irene Hoff do. 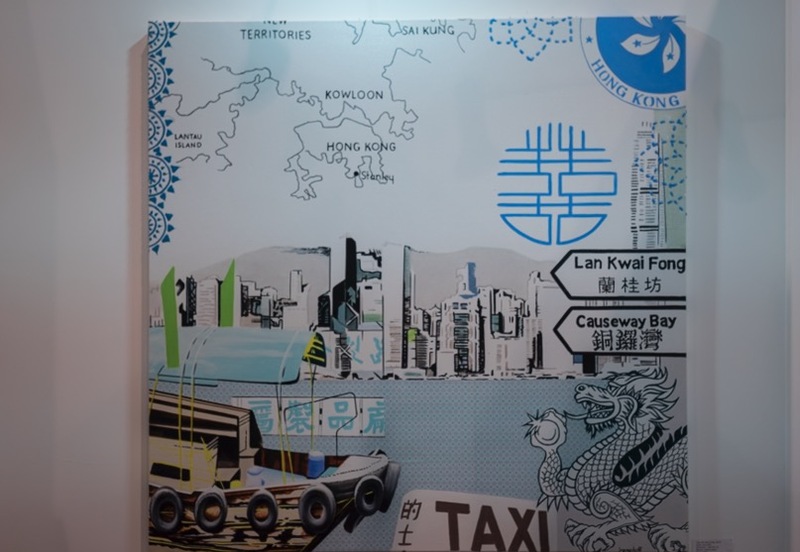 The street sign Lan Kwai Fong combined with a junk and the skyline is definitely a classic, and so is the doubledecker tram and the red lantern from a wet market stand. 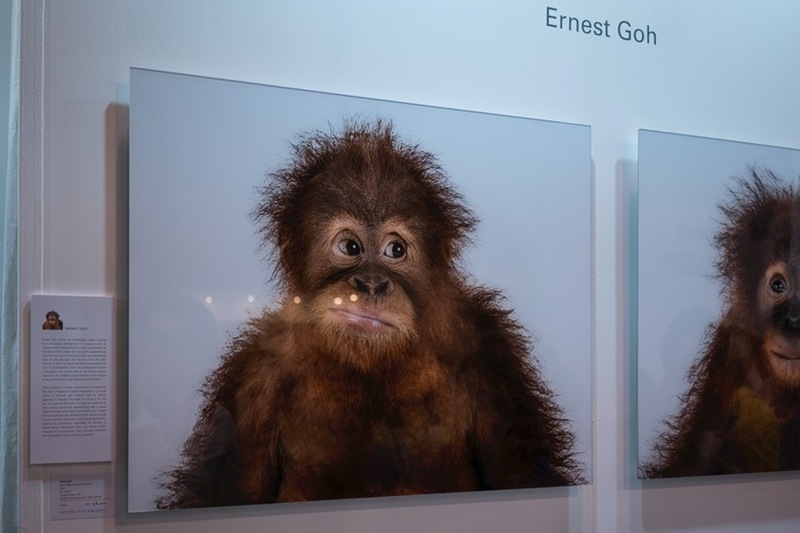 I always have a soft spot for photographs in my heart – and yes, there were fantastic ones by the classic Ho Fan also on show – and this time I fell for the monkey shots by Ernest Goh. He’s got real talent shooting nature and animals – in such a fun way, but at the same time also capturing the animal’s spirit. Looking through my photos from this year’s show, I found one that I recognised easily… it’s by Dganit Blechner, an artist from Israel. 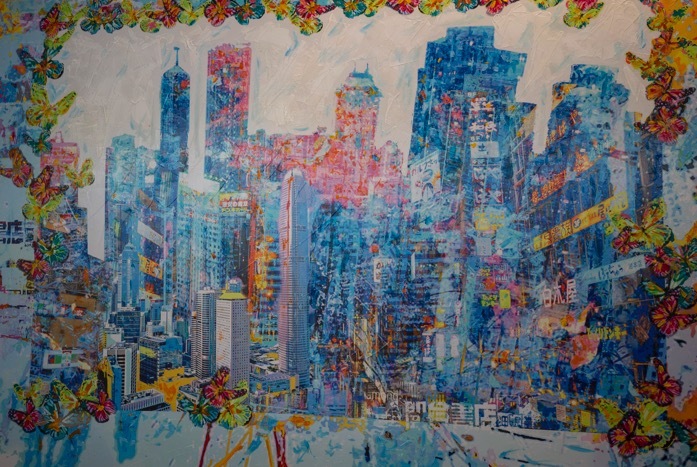 I stumbled across her work already last year – and again, her unique style of capturing many different visual sources into a very colourful and personal composition caught my eye. 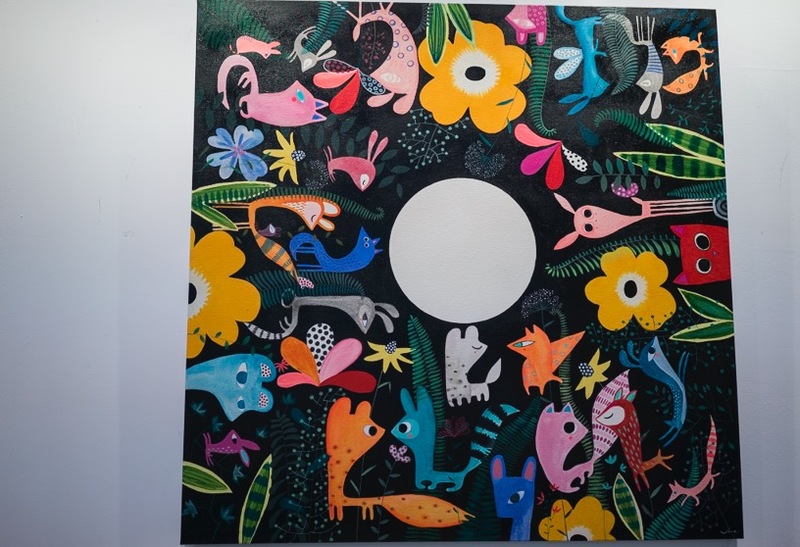 This colorful picture by Vanessa Linares would be great to hang in Lina’s room… if we actually had set up her room yet. But at the moment the guest room is still a guest room and she sleeps in our bedroom, so no need to start decorating… but I’ll keep an eye open for the fantasy animals that Vanessa created. I have no idea what they are called, but at the show were several images showing them at night, during the day, in the woods etc. The picture I liked best was a party under the full moon, which looked like a lot of fun! 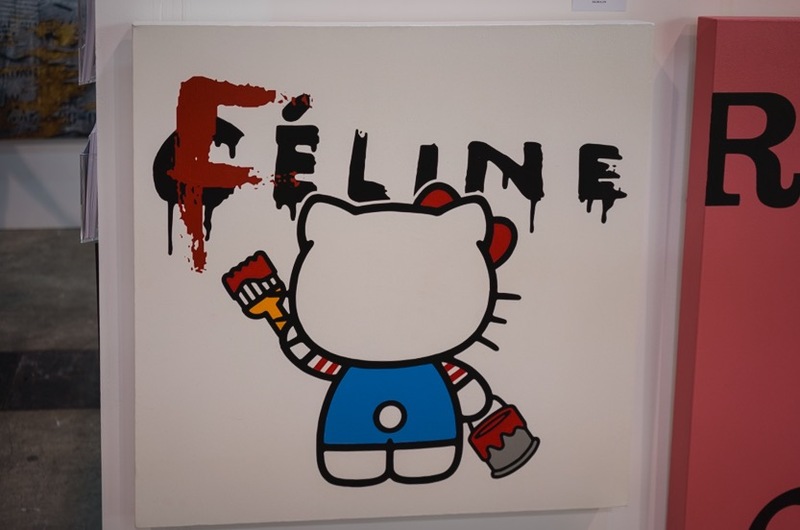 Here’s a picture by Andre Tan – instead of Celine, it says Feline. This would be a picture that my cat Sam would love… and probably lots of girls in Asia, as it features the ever popular Hello Kitty! 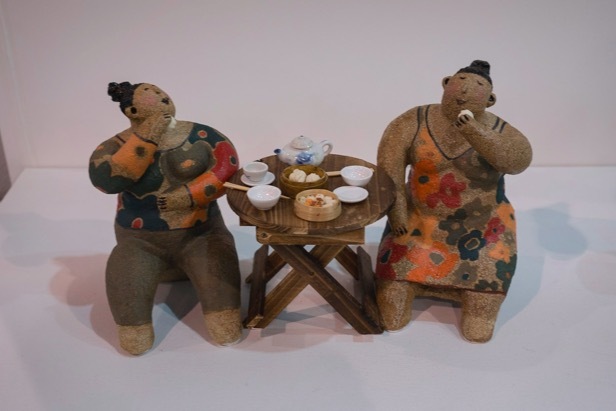 And finally, our two friends, by Rosanna Li. 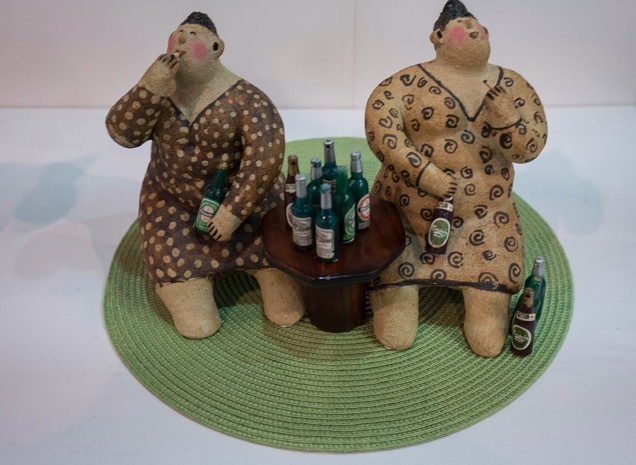 I saw the exhibition a while back in December 2014 and it was a heartwarming to see how the strong friendship between two women was portrayed. 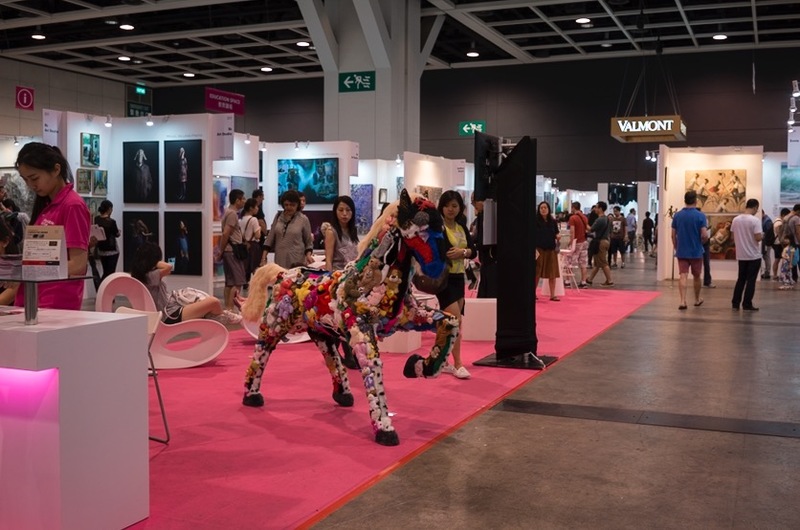 Have you been to the Affordable Art Fair, and if yes, what did you like or even purchase? You make me laugh – you know so much! Keep your comments going, seems I need you as a proof-reader! :) You are hired! A big thank you! And likewise – I do enjoy reading your blog and am amazed that there is a daily post! You take it very seriously! Nice. Art should be affordable!